This unhappy person, John Hamp, was born of both honest and reputable parents in the parish of St. Giles-without-Cripplegate. They took abundance of pains in his education, and the lad seemed in his juvenile years to deserve it; he was a boy of abundance of spirit, and his friends at his own request put him out apprentice to a man whose trade it was to lath houses. He did not stay out his time with him, but being one evening with some drunken companions at an alehouse near the Iron Gate by the Tower, three of them sailors on board a man-of-war (there being at that time a great want of men, a squadron being fitted out for the Baltic), these sailors, therefore, observing all the company very drunk, put into their heard to make an agreement for their going altogether this voyage to the North. Drink wrought powerfully in their favour, and in less than two hours time, Hamp and two other of his companions fell in with the sailors' motion, and talked of nothing but braving the Czar, and seeing the rarities of Copenhagen. The fourth man of Hamp's company stood out a little, but half an hour's rhodomantade and another bowl of punch brought him to a sailor, upon which one of the seamen stepped out, and gave notice to his lieutenant, who was drinking not far off, of the great service he had performed, the lieutenant was mightily pleased with Jack Tar's diligence, promised to pay the reckoning, and give each of them a guinea besides. A quarter of an hour after, the Lieutenant came in. The fellows were all so very drunk that he was forced to send for more hands belonging to the ship, who carried them to the long-boat, and there laying them down and covering them with men's coats, carried them on board that night. There is no doubt that Hamp was very surprised when he found the situation he was in next morning, but as there was no remedy, he acquiesced without making any words, and so began the voyage cheerfully. Everybody knows that there was no fighting in these Baltic expeditions, so that all the hardships they had to combat with were those of the sea and the weather, which was indeed bad enough to people of an English constitution, who were very unfit to bear the extremity of cold. While they by before Copenhagen, an accident happened to one of Hamp's great acquaintance, which much affected him at that time, and it would have certainly have been happy for him if he had retained a just sense of it always. There was one Scrimgeour, a very merry debonair fellow, who used to make not only the men, but sometimes the officers merry on board the ship. He was particularly remarkable for being always full of money, of which he was no niggard, but ready to do anybody a service, and consequently was very far from being ill-beloved. This man being one day on shore and going to purchase some fresh provisions to make merry with amongst his companions, somebody took notice of a dollar that was in his hand, and Scrimgeour wanting change, the man readily offered to give smaller money. Scrimgeour thereupon gave him the dollar, and having afterwards bargained for what he wanted, was just going on board when a Danish officer with a file of men, came to apprehend him for a coiner. The fellow, conscious of his guilt, and suspicious of their intent, seeing the man amongst them who had changed the dollar, took to his heels, and springing into the boat, the men rowed him on board immediately, where as soon as he was got, Scrimgeour fancied himself out of all danger. But in this he was terribly mistaken, for early the next morning three Danish commissaries came on board the admiral, and acquainted him that a seaman on board his fleet had counterfeited their coin to a very considerable value, and was yesterday detected in putting off a dollar; that thereupon an officer had been ordered to seize him, but that he had made his escape by jumping into the long-boat of such a ship, on board of which they were informed he was; they therefore desired he might be given up in order to be punished. The admiral declined that, but assured them that, upon due proof, he would punish him with the greatest severity on board; and having in the meanwhile dispatched a lieutenant and twenty men on board Scrimgeour's ship, with the Dane who detected him in putting off false money, he was secured immediately. Upon searching his trunk they found there near a hundred false dollars, so excellently made that none of the ship's crew could have distinguished them from the true. He was immediately carried on board the admiral, who ordered him to be confined. Soon after a court-martial condemned him to be whipped from ship to ship, which was performed in the view of the Danish commissaries, with so much rigour that instead of expressing any notion of the Englishmen showing favour to their countryman upon any such occasion, they interposed to mitigate the fellow's sufferings, and humbly besought the admiral to omit lashing him on board three of the last ships. But in this request they were civilly refused, and the sentence which had been pronounced against him was executed upon him with the utmost severity; and it happening that Hamp was one of the persons who rowed him from ship to ship, it filled him with so much terror that he was scarce able to perform his duty; the wretch, himself, being made such a terrible spectacle of misery that not only Hamp, but all the rest who saw him after his last lashing, were shocked at the sight. And though it was shrewdly suspected that some others had been concerned with him, yet this example had such an effect that there were no more instances of any false money uttered from that time. It was near five years after Hamp went first to sea that he began to think of returning home and working at his trade again; and after this thought had once got into his head, as is usual with such fellows, he was never easy until he had accomplished it. An opportunity offered soon after, the ship he belonged to being recalled and paid off. John had, however, very little to receive, the great delight he took in drinking made him so constant a customer to a certain officer in the ship that all was near spent by the time he came home. That, however, would have been no great misfortune had he stuck close to his employment and avoided those excesses of which he been formerly guilty. But alas! this was by no means in his power; he drank rather harder after his return than he had done before, and if he might be credited at that time when the Law allows what is said to pass for evidence, viz., in the agony of death, it was this love of drink that brought him, without any other crime, to his shameful end. The manner of which, I shall next fully relate. Hamp, passing one night very drunk through the street, a woman, as is usual enough for common street-walkers to do, took him by the sleeve, and after some immodest discourse, asked him if he would not go into her mother's and take a pot with her. To this motion Hamp readily agreed, and had not been long in the house before he fell fast asleep in the company of James Bird (who was hanged with him), the woman who brought him into the house, and an old woman, whom she called her mother. By and by certain persons came who apprehended him and James Bird for being in a disorderly house; and having carried them to the watch house, they were there both charged with robbing and beating, in a most cruel and barbarous manner, a poor old woman near Rag Fair. At the next Old Bailey sessions they were both tried for the fact, and the woman's evidence being positive against them, they were likewise convicted. Hamp behaved himself with great serenity while under sentence, declaring always that he had not the least knowledge of Bird until the time they were taken up; that in all his life time he had never acquired a halfpenny in a dishonest manner, and that although he had so much abandoned himself to drinking and other debaucheries, yet he constantly worked hard at his employment, in order to get money to support them. As to the robbery, he knew no more of it than the child unborn, that he readily believed all that the woman swore to be true, except her mistake in the persons; and that as to Bird, he could not take upon himself to say that he was concerned in it. A divine of eminency in the Church, being so charitable as to visit him, spoke to him very particularly on this head; he told him that a jury of his countrymen on their oaths had unanimously found him guilty; that the Law upon such a conviction had appointed him to death, and that there appeared not the least hopes of his being anyways able to prevent it; that the denying of his guilt therefore, could not possibly be of any use to him here, but might probably ruin him for ever hereafter; that he would act wisely in this unfortunate situation into which his vices had brought him, if he would make an ample acknowledgment of the crime he had committed, and own the justice of Providence in bringing him to condemnation, instead of leaving the world in the assertion of a falsehood, and rushing into the presence of Almighty God with a lie in his mouth. This exhortation was made publicly, and Hamp after having heard it with great attention, answered it in the following terms. "I am very sensible, sir, of your goodness in affording me this visit and am no less obliged to you for your pressing instances to induce me confession. But as I know the matter of fact, so I am sure, you would not press me to own it if it be not true; I aver that the charge against me is utterly false in every particular. I freely acknowledge that I have led a most dissolute life, and abandoned myself in working all kind of wickedness; but should I so satisfy some persons' importunities as to own also the justice of my present sentence, as arising from the truth of the fact, I should thereby become guilty of the very crime you warn me of, and go out of the world, indeed, in the very act of telling an untruth. Besides, of what use would it be to me, who have not the least hopes of pardon, to persist in a lie, merely for the sake of deceiving others, who may take my miserable death as a piece of news, and at the same time cheat myself in what is my last and greatest concern? I beg, therefore, to be troubled no more on this head, but to be left to make my peace with God for those sins which I have really committed, without being pressed to offend Him yet more, by taking upon me that which I really know nothing of." 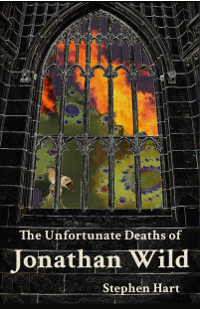 The Ordinary of Newgate hereupon went into the hold to examine Bird, who lay there in a sick and lamentable condition. He confirmed all that Hamp had said, declared he never saw him in his life before the night in which they were taken up, acknowledged himself to be a great sinner, and an old offender, that he had been often taken up before for thefts; but as to the present case, he peremptorily insisted on his innocence, and that he knew nothing of it. At the place of execution, Hamp appeared very composed and with a cheerfulness that is seldom seen in the countenances of persons when they come to the tree, and are on the very verge of death. He spoke for a few moments to the people saying that he been a grievous sinner, much addicted to women, and much more to drinking; that for these crimes, he thought the Justice of God righteous in bringing him to a shameful death; but as to assaulting the woman in Rag Fair, he again protested his innocence, and declared he never committed any robbery whatsoever, desired the prayers of the people in his last moments, and then applied himself to some short private devotions. He resigned himself with much calmness to his fate, on Wednesday, the 22nd of December, 1725, at Tyburn, being then in the twenty-fifth year of his age. Bird confirmed, as well as the craziness of his distempered head would give him leave, the truth of what Hamp had said. This was in Rosemary Lane, Wellclose Square, Whitechapel--"a place near the Tower of London where old clothes and frippery are sold"--according to Pope.